The Vice-Chancellor of the University of Abuja (UNIABUJA), Prof. Michael Adikwu, has denied alleged corrupt practices at the institutions’ Centre for Distance Learning (CDL). Adikwu told newsmen in Abuja on Sunday that the alleged mismanagement and diversion of funds in the centre was sponsored, false and speculative. He said that the panel constituted for the centre was to enhance its works because many students complained about the late release of results. Adikwu also denied any fraudulent practices in the running of the university either during admission of students or change of courses. The vice-chancellor, however, admitted that the centre was being overhauled with the injection of fresh hands to run the place. He described the alleged recruitment of 200 non-essential staff without due process as untrue and laughable. 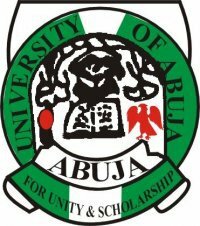 0 Response to "UNIABUJA VC Denies Fraud Allegations Against Distance Learning Centre"